The following may help those confused by a recent article written by the Bishop of Mostar-Duvno and posted on his Diocesan website on February 26, 2017, trying to bring an end to events taking place in his diocese – while at the same time the Pope is sending his envoy into his diocese to care for those events! As the bishop of Warsaw-Prague (Poland) prepares to go to Medjugorje as the Pope’s special envoy, the Catholic media is spreading on-going attacks by the Bishop of Mostar against the authenticity of Our Lady’s apparitions there, even though the Secretary for the Congregation of the Doctrine of the Faith had clarified in an official directive dated May 26, 1998 (Pr. No. 54/81-06419) that Bishop Peric’s negative opinion “should be considered as the personal conviction of the Bishop of Mostar which he has the right to express as Ordinary of the place, but which is and remains his personal opinion.” For 19 years the Catholic media has ignored this directive. When “Our Sunday Visitor” published this clarification from the CDF in its January/February 2000, issue of “The Catholic Answer”, the phrase “but which is and remains his personal opinion,” was deleted. The Catholic answer it was not. On October 9, 1998, five months after that announcement from the CDF, the Bishop of Mostar, Mons. Ratko Peric, went on record stating before witnesses that he had never met or spoken to any of the visionaries and that he didn’t believe in any apparition of Our Lady, specifically naming Fatima and Lourdes. 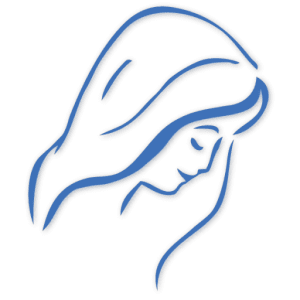 “I believe what I am required to believe – that is the dogma of the immaculate Conception which was issued four years before Bernadette’s alleged apparitions,” (witnessed in a sworn statement attested to by Fr. John Chisholm and Major General (ret.) Liam Prendergast; the bishop’s remarks were also published in the February 1, 2001, European newspaper, “The Universe”). Though the Catholic media in America would spread widely Bishop Peric’s June 15, 2006 demand for obedience and an end to the events of Medjugorje it gave little notice to the July 15, 2006 rebuke he received from Cardinal Pulic, the President of his Bishops’ Conference, (“Medjugorje and the Church”, Queenship, p. 183, 184). Bishop Peric’s predecessor, Bishop Pavao Zanic, had a similar attitude towards Medjugorje as shown in the published interview with Gabriel Meyer (“National Catholic Register”, April 1, 1990): “What do you as bishop want to have happen in Medjugorje? What could the Franciscans and the parishioners there do to work with you?” Zanic leaned back in his chair: “Simple. I want Medjugorje destroyed,” (“Medjugorje and the Church” Queenship, 2007, p. 183). On July 25, 1987, Bishop Zanic, with miter and crosier from the altar of St. James church in Medjugorje, condemned all those who purported that the Blessed Virgin Mary was appearing in Medjugorje “to the lowest place in hell.” (“He expected to see the parishioners revolt, but they silently listened to him with respect, in spite of the deep hurt they felt in their hearts,” (Fr. Rene Laurentin, “Seven Years of Apparitions” the Riehle Foundation, p, 7, 8). Bishop Zanic had told Fr. Milan Mikulich, a native of Croatia and editor of “Orthodoxy of Catholic Doctrine” – one of the first priests to visit Medjugorje from America after the report of apparitions in June, 1981 – that if the Vatican didn’t accept his condemnation of the apparitions, “There will be a war in the Church!” Fr. Mikulich responded, “Bishop, I think you are fighting against Our Lady and not against the seers or the Franciscans in Medjugorje.” He replied: “If I lose there will be a war.” (Fr. Mikulich’s testimony was presented at the 1991 Medjugorje Conference at Notre Dame.) His successor, Bishop Peric, continues this same war. For example, when the Franciscan parish in Capljina was to be turned over to diocesan clergy, the bishop was advised to take several weeks, changing the priests gradually in order to make the change easier for parishioners. Instead, he removed all the Franciscans and staffed the parish with his diocesan clergy on the same day fanning the flames of an already tense situation. As he had been warned beforehand would happen, the parishioners revolted giving the example of disorder in his diocese that he wanted and has referred to ever since, (“Medjugorje and the Church, 2007, Queenship, p, 187). On March 25, 1984 Pope John Paul II said, “Medjugorje is the fulfillment and continuation of Fatima!” (‘Medjugorje and the Church”, Queenship, p. ix), and on February 24, 1990: “Medjugorje is the spiritual center of the world!” (“Why He Is a Saint: The Life and Faith of Pope John Paul ll and the Case for Canonization”, Msgr. Slawomir Oder, postulator for his Cause of Canonization; Rizzoli, 2010, p.168). On December 8, 1992, Pope John Paul II wrote to his friend Marek Skwarnicki in Poland in his own hand: “I thank Sofia for everything concerning Medjugorje. I too go there every day as a pilgrim in my prayers. I unite in my prayers with all those who pray there or receive a call for prayer from there. Today we have understood this call better. I rejoice that our time is not lacking people of prayer and apostles!” (“John Paul ll: I send you Greetings and Bless You – The Pope’s Private Letters”, Swiat Ksiazki-Bertelsman Media Sp. Z.o.o., Warszwa, Poland, 2000 / and “Medjugorje and the Church”, Queenship, p. 153). On April 6, 1995 Pope John Paul ll stated publicly: “I want to go to Medjugorje,” (Slobodna Dalmacija, April 8, 1995, p.3). Several months before the Holy Father’s June 22, 2003, trip to Banja Luka in Bosnia, Zenit made public a report from the Holy See that he also wished to visit Mostar. Though the government had extended an invitation, local media reported the Bishop of Mostar’s response that it would be a mistake for the Pope to come into his diocese (as he told the media every time the Pope traveled to Croatia or Bosnia). And so the Holy Father had to content himself on that trip – his last to the country – with only visiting Banja Luka, the Serbian capital of Bosnia. Previously he had visited the Muslim capital, Sarajevo, twice. He was never able to visit Mostar, the Catholic capital of Bosnia. Bishop Ratko Peric, the Ordinary of the diocese that incorporates St. James Parish in Medjugorje, would not sanction Pope John Paul ll coming into his diocese. The Blessed Mother is calling to us through her messages to pray for the shepherds, not to judge them. She will triumph alongside them she tells us. “Again I am warning you, pray for those whom my Son called, whose hands he blessed and whom He gave as a gift to you. Pray, pray, pray for your shepherds. Thank you,” (April 2, 2013). “My apostles, pray for your Church, love and do works of love. No matter how betrayed or wounded, it is here because it comes from the Heavenly Father. Pray for your shepherds so that in them you may see the greatness of the love of my Son. Thank you,” (June 2, 2016). My book “Medjugorje and the Church”, which carries a Nihil Obstat, is available from Queenship Publishing <http://www.queenship.org/>. It brings to light more on this subject. Don’t miss the footnotes! We should not be worried about Medjugorje!